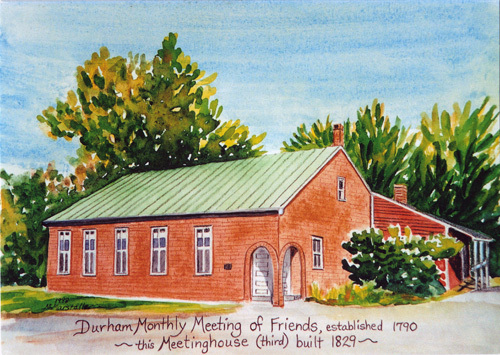 This is one of the stories I’ve been preparing for the New England Yearly Meeting sessions this month, about early Friends answering the call to radical faithfulness. Ann Audland is one of the lesser known early Quaker prophets. She and her husband John were in their early 20s and among the hundreds of Seekers that responded to George Fox’s preaching around northern England in May and June of 1652. That was the ground-zero moment when the Quaker movement became a recognizable phenomenon. Ann and John Audland became part of the Valiant Sixty, a band of wandering prophets spreading the Quaker message. They clearly understood themselves as a latter-day version of the seventy disciples that Jesus sent out in pairs to preach the gospel (see Luke 10). They understood themselves as starting the Church all over again, from the ground up, as it began in the first place, by the power and leading of the Spirit. John Audland paired up with his friend John Camm. In 1654, they invaded Bristol with the Quaker message. Bristol was the second largest city in England at that time and a hotbed of seeking groups. The two Johns, Camm and Audland, had spectacular success there. Ann Audland teamed up with Mabel Camm, wife of John, and they began their own itinerant ministry. They were preaching in the streets of the Oxfordshire town of Banbury in 1655, when Ann was physically assaulted by some ruffians. She later told the local parish priest that this outbreak of violence was a symptom of his spiritual influence. For this and other provocative statements, she was arrested and charged with blasphemy. Someone posted bail for her and she resumed preaching around the area for some months before her trial. Many were convinced and local meetings were started. But the local establishment was outraged by “that prating woman Audland.” It was reported that those who listened to her quaked and foamed at the mouth. Some said she was a witch and should be burned. But the judge at her trial was a more moderate man. He offered to free her if she would swear to stop causing trouble. But as a Quaker, she could neither swear an oath nor promise to desist from preaching. So she was sentenced to eight months in prison, kept in an underground cell that “did stink sorely; besides frogs and toads did crawl in,” she later wrote.